As I write this post, I’m sitting in the cafe of my $200 per month gym. Some might gasp at this number, as I did, but then I did some calculations. It didn’t take long for my husband to convince me that not only would the gym be a nice mental break, but it was a ridiculous bargain when it came to childcare. My gym has a cafe, high speed free Wi-Fi, and most of all, an impressive childcare facility with slides, TVs, ping pong tables, toys and more. The staff at the gym will change my son’s diapers and they also helped me potty train my daughter. In other words, the people watching my children are not random high school students. 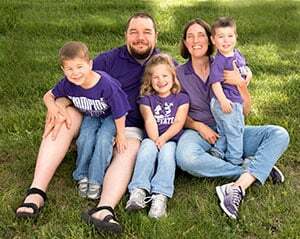 They are actively involved in the care of my children, and they’ve helped me tremendously as I try to navigate the tricky waters of managing my world as a parent, business owner, and of course, a healthy person who works out from time to time. 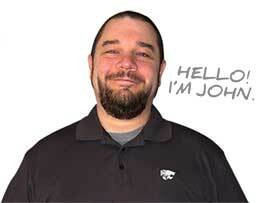 As many of you know, I am self-employed. What you might not know is that I don’t have a traditional 40 hour work week. I wish I did, but when I looked at daycares in the area, hiring a part-time babysitter was more cost efficient for two children. So, I have a babysitter from 8-1 four days a week at $15 per hour. This equates to roughly $300 a week. If my children take a nice, long nap, I can sometimes get up to 25-28 hours of scheduled work time every week at home. Then, if I have more work to do, which I usually do, I will take my kids to my gym in the afternoons. I estimate that I take my children to the gym about four times per week. I work out twice a week and the other two days, I catch up on e-mails or posts while sitting in the cafe in the gym. At my regular babysitting rate of $15 per hour, it would cost me $37.50 every time I dropped my kids off for 2.5 hours. If I dropped them off twice a week, that would be $75 per week. Twice a week times four weeks would equal $300 per month. So, as you can see, having a $200 per month gym membership saves me at a minimum $100 per month in babysitting costs. Not only that, but I could take my kids to the gym every single day if I wanted to and really max out the cost effectiveness. I also can’t discount how nice it is to just sit in the steam room or the hot tub at the gym without anyone calling my name ten times in a row. I used to scoff at high end gyms, wondering why in the world people would pay for them. However, I’ve had memberships to cheap gyms and really nice gyms, and if I’m going to leave my kids in a gym daycare regularly for a long period of time, I want one that is safe, enriching and fun for them. Most of all, I would encourage all the entrepreneurs or stay at home parents out there to weigh the costs of a gym membership vs. the cost of babysitting. 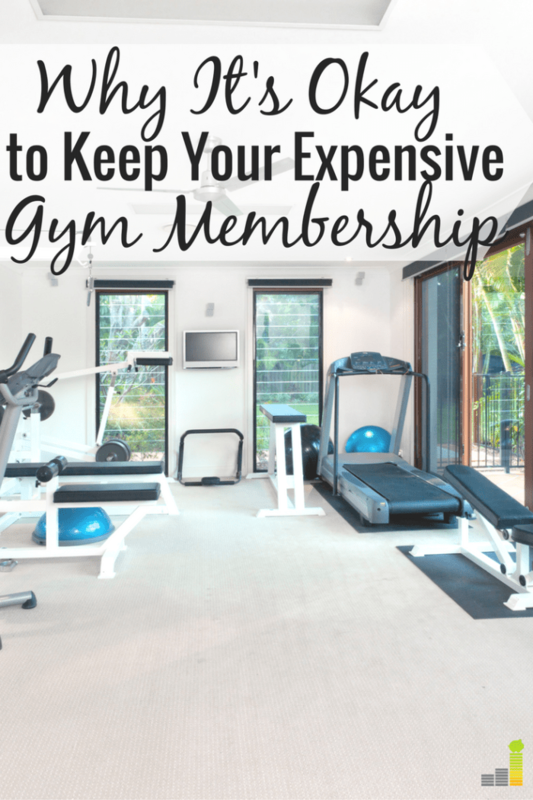 You might find that it’s actually less expensive to get a gym membership. Plus, you get all the benefits of having classes, a pool and more. Ultimately, sometimes entrepreneurs have to get creative when it comes to childcare. Getting 40 hours a week of childcare at a daycare just wasn’t an option for me. Since my husband has an insanely busy physician’s schedule, I take care of absolutely everything when it comes to our kids, our home and more. This means that more often than not, I need a break and a sanity check. For me, it’s worth every penny, and I still count it as a savings, since I really do need the work hours. However, I’d love to hear from you. 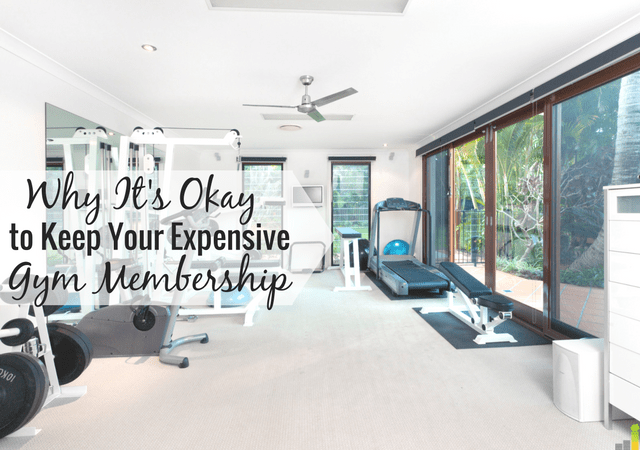 Do you have an expensive gym membership? Do you think it could be worth the cost solely for the childcare? Would you ever pay $200 per month for a gym membership? Why or why not? Girl, you have me looking like – do we have one? I mean seriously, I would love some quality childcare for my kids while I get in a workout. And I could get a steam in and do some work? Yeah, that’s a steal for sure. Let me go do some research, lol! We used to pay $100 a month for my wife and I for the gym, but it had daycare. It was fantastic and a great bargain! Not only would you get a mental break and know that your kids were happy and safe, but you could even work out if you wanted to – lol! As long as you take advantage of the gym, I think it is money well spent. If you never go, it’s a huge waste, no matter how cheap it is. This was a great and insightful post! I have never really thought about the positives about a more expensive gym memberships! Ultimately, if you are saving money than it is a good investment! Thanks for sharing this with me! I love the points you make in this post Cat. I actually have two gym memberships, and I never thought I would. One of the gyms I go to offers child care and it’s only $3/hour so this is giving me some great ideas.